I watched as this college friend pulled clothes from her suitcase and packed them into a duffel bag for the Thanksgiving weekend at home. She still had an empty dresser and a full suitcase 3/4 of the way through the college semester. I am not like this. I am an insta-unpacker. The moment I arrive at a hotel, I nest. I empty every bag, tuck every item away, fill the mini-kitchen and set up the bathroom sink. When we return home, I’m going to unpack no matter how late it is. I’m going to start that load of laundry and pull out the toiletries because it cannot wait until morning, not if I want to get any sleep. Maybe I looked lost in confusion as I watched my friend move clothes from one bag to another because she stopped to explain it to me. It wasn’t procrastination or laziness. It was perfectionism. It was that ugly enemy that paralyzes us with the lie: If you can’t do it perfectly, then why do it at all? Did he always choose to walk? No. It amused him to walk a little from room to room or place to place. But when he wanted to get somewhere with certainty and with speed, he dropped to all fours and crawled like a rocket. Perfectionism does this; it paralyzes us into this one place of development. We’re comfortable here. We move along well enough. This is what we know. Why choose stumbling? Why choose uncertain steps and potential embarrassment? This is what we lose when we demand perfection from ourselves: We lose the journey of grace, the way God walks alongside, the way He steadies us with His strong hand and smiles at our progress. The way He cheers us along and encourages us on the weary days to persevere and not give up, to get up and try once more because He is with us, after all. You therefore must be perfect, as your heavenly Father is perfect. (Matthew 5:48 ESV). It’s tucked in just one tiny verse after the beatitudes and after Jesus tells them not to retaliate against their enemies, not to get divorced, not to lust, not to sin when they’re angry, and to love their enemies. Yes, do all this. And be perfect. That would have caused me some religious whiplash. If I were taking sermon notes on that hillside, I’d have written it down on my bulletin with exclamation marks and references to look up later in case the preacher was wrong. Hadn’t the Pharisees preached legalism and works-based faith? The religious elite told them to be perfect, be perfect, be perfect and if possible, be more perfect, because that’s what it took to please God. Here I am at the end of my 12-month pursuit of the presence of Christ, and I’m ending the year with this: Abandon Perfection. But how do you move on past a verse like this? Be perfect? That’s impossible. I’m a mess some days, broken and faulty and prone to sin. So, Jesus, does that mean we’re hopelessly blocked from Your presence and Your favor because this perfection just trips us all up? Oh, but here’s the grace we perfectionists need. Perfection, then, is not a change in the essential character but the completion of a course...We can never be who God is, but we can complete the task he assigns us to do” (The Grand Weaver). Jesus didn’t mean we had to attain that holiness on our own or get everything right and never falter or sin. He knows we can’t. He asks us, though, to move forward. Take those steps. Make progress. Obey Him. When He tells us to move, move. When He plants us, bloom. When He leads us, follow. When He prompts us, go. When He nudges us, yield. Perfectionists lose because we get so focused on the end that we despair in the middle and simply give up. Or we never begin in the first place. 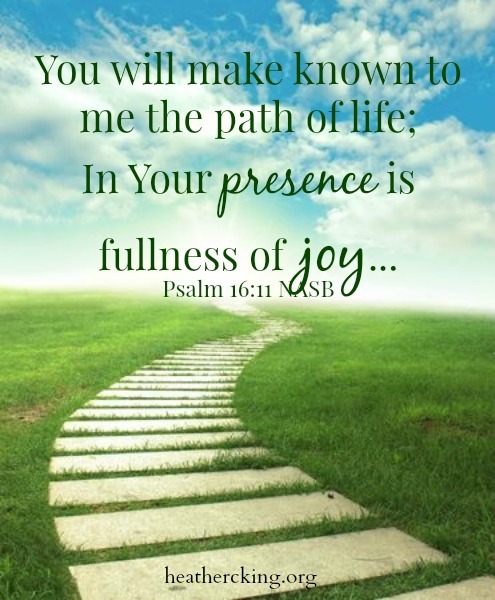 But God asks us to just take a walk with Him, rest in His presence, trust His direction, enjoy His company. Then we’ll be where He wants us to be, with Him….and that’ll be perfect. I pray that God gives you freedom and a reminder of His grace, especially as you start a new year! !